Spring must be getting closer. The SouthEnd Tailgate Market will be back from 10 a.m. to noon Saturday in the patio at the Common Market, 1515 S. Tryon St. Vendors expected: Windy Hill Farm (eggs and pasture-raised pork), Coldwater Creek (various vegetables, sweet potatoes, garlic and beets, plus Cackleberry eggs, queso fresco, yogurt cheese and "a very young Parmesan"), ostrich stuff from Bird Brain, artisan bread from Dukes Bread, prepared foods from Savory Moments and pickles from Bill the pickle man. Manager Lynn Caldwell says the market is running every other Saturday for the moment. Hillshire Farms is giving Charlotte some more love tonight. 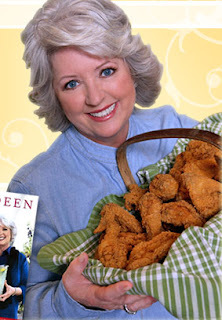 Hillshire sponsors the annual Hoodie Awards in Las Vegas, where several Charlotte restaurant owners have gotten the Best Soul Food title in the past. Last year's winner was Sadie's Soulful Southern Experience. To celebrate the 2010 Central Intercollegiate Athletic Association tournament -- otherwise known as the popular CIAA, going on right now -- Hillshire sent chef Delilah Winder to town. Besides being spokesperson for Hillshire, she owns six Delilah's Southern Cuisine stands and Bluezette, a Latin/Caribbean/soul restaurant in Philadelphia. Oh, and her Seven-Cheese Macaroni and Cheese was named the best by Oprah Winfrey. On Wednesday, she went to Sadie's to cook with owners Tamara Thompson and Joseph McGuire. Tonight at 5 p.m., Winder will cook for families at Charlotte Emergency Housing. CEH usually houses 14 families, or about 50 to 60 people a night. The latest sprinkling of snow didn't stop me from checking the herb bed this morning to see if the first sprigs of mint are up. They're not -- yet. But it won't be long. Which has led me to look in my freezer and wonder: What favorite winter dish haven't I made yet? In spring, I really focus on eating my fill of asparagus before it's gone for the year. In summer, it feels like there are a certain number of corn cobs I need to gnaw before I know I've done right by the season. Winter is the same way. My favorite dishes to cook are winter dishes. I'd hate to get to short-sleeve weather without meeting my quota. I won't get to make them again until I get out the sweaters. I feel like I'm still short on pot roast. I've made a few, but I haven't done the red-wine one yet. I've made baked ziti a couple of times, and I've had several good soup adventures. But I haven't met my winter quota for macaroni & cheese, and I haven't made a single batch of coq au vin. Help me out here. I'd love to hear which dish you have to make before the robins come back. Hoe, hoe, hoe. David and Mary Beth Blackley of Renfrow's Hardware want to teach you how to plant an all-year garden. The class is $20 (not including all that stuff you'll be tempted to buy from Renfrow's), and it's 6:30-8:30 p.m. March 4 at Renfrow's, 188 N. Trade St. in Matthews. To sign up, e-mail refrowshardware@windstream.net or call 704-847-4088. Learn to cook a family-style Sunday supper at Mimosa Grill, 327 S. Tryon St.. Lineup includes Lowcountry Chicken Chili, almond-crusted flounder, grilled beef tri tip and strawberry cake. 10 a.m.-noon March 6; $35. Call 704-343-0700. It's not too soon to sign up for the May 1 composting class (leaf-based and worm-based) at Friendship Trays, 2401 Distribution St. It's 9:30 a.m.-noon May 1 and costs $30, including worms. (Mmmmmm. 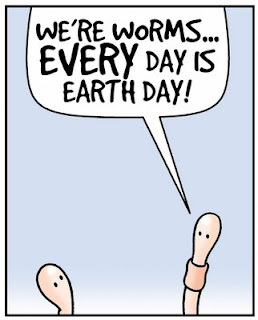 Wormy.) Bring your own gloves and newspaper. (Newspaper? What's that?) Deadline to register is April 23. E-mail mifflinpjenkins@yahoo.com or call 704-446-6252. "USDA Process Verified: All Vegetarian Diet, No Animal By-Products, Humanely Raised, Raised Cage Free." Since the chicken breasts were reasonably priced, at around the $5 or so I'd expect to pay for three big pieces, I grabbed a pack. It was good, although it's hard to say whether it was noticeably better, since it was swimming in lime-butter sauce. This morning, Jim Perdue dropped by The Observer to explain that label, the Verifiably Good program. "We're going back to basics," he said. Perdue spent three years working with the USDA to come up with a program for raising their chickens that meets the federal standards for all of those claims. 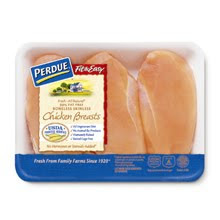 Perdue made it clear that what he was really interested in was chicken quality. Good feed and better conditions result in chicken that is more tender. But he also understood that we consumers want some things, too. We want labels with claims that mean something, rather than "fresh" describing chicken that's so close to frozen you can rap on it with your knuckles. We want our chickens raised in conditions that don't break our hearts or turn our stomaches. And yes, we want a reliable product that doesn't cost so much we have to choose between buying chicken and making a house payment. Besides reading the label, you can go to http://www.perdueverifiablygood.com/ and find definitions for all the standards on the label. Keeping the price the same as their old "All-Natural" labeled chicken was important to him, he said. "You know, with this economy . . . " Yes, I know. I really do know. North Carolina is the site for the new product's rollout. Why here? Well, it's the largest state where Maryland-based Perdue has operations. There's a Perdue cooking plant in Concord, processing facilities in Lewiston and Rockingham, and plenty of chicken farms that are under contract to Perdue. To mark the rollout, the company is holding a contest, open to N.C. residents only. Make a video of yourself cooking Perdue chicken and you could win $500 in cash and $520 in coupons for the product. Get details on that at Verifiably Good Web site, too. I'll confess: The only reason I made it to both the Matthews and Charlotte Regional farmers markets in the snow and ice on Saturday was because my writer compadre, Andrea Weigl, had come over from Raleigh just to go to the Charlotte markets. Never tell a Pittsburg native it's going to snow: She just looked at me like a terrier and said, "So?" So, we went. And a few farmers went, too. Come this summer, when I'm standing in the middle of the Matthews market with sweat riddling my brow, I will enjoy looking at my feet and remembering when I stood on the same spot ankle-deep in snow. Just because I got out, though, doesn't mean many other people did. A handful of farmers picked and came out, laughing along with the even smaller handful of customers. But a lot more farmers picked and then couldn't get out on the roads. So there will be a couple of makeup market visits. Today at the Charlotte Regional Farmers Market, a bunch of local growers will come to join the weekday regulars from 1-5 p.m. That's at 1801 Yorkmont Road. And I hear that on Wednesday from 4-6 p.m., several farmers plan to be at the Matthews Community Farmers Market site in downtown Matthews, off N.C. 51. If it snows this Saturday, I'm sleeping in. With Valentine's Day on Sunday, I thought it was a good time to consider the cupcake. In the last few years, cupcakes have gone from kindergarten treat to trendy food, with fancy cupcake shops popping up like jellybeans in green plastic straw. Generally, I'm pro-cupcake. Cupcakes have significant advantages in the cake world, besides their obvious cuteness: You get a controlled portion of cake, you usually get a good frosting-to-cake ratio, and their little tops are just begging to be decorated. Yes, there are many cupcake transgressions, mostly involving dry cake, dried-out, crispy frosting, and not enough frosting. But cupcake shortcomings are not my issue today. It's hard to eat a cupcake. I was thinking about this recently while communing with a particularly good chocolate cupcake with mocha frosting. But, even the shorter homemade cupcakes are at least 2 inches high, frosting including. 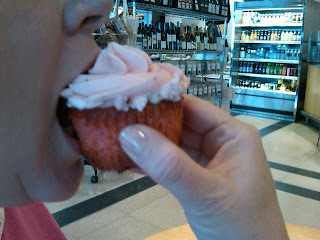 And the real extravaganza bakery cupcakes can top 3 inches from bottom to frosting tip. So how do you eat a cupcake without getting frosting all over your nose? Yes, you can just eat the frosting. But that negates the joyous combination of cake and frosting, which is kind of the whole point. So here's what I do: Unwrap the cupcake. Grasp the bottom of the cake and gently pull away. Cupcake cake always seems to split in half pretty easily. Eat the bottom layer of cake. Take a lick or two from the frosting top to simultaneously enjoy it and tame the height. What you're left with is a slimmer layer of cake and a good helping of frosting. Cupcake nirvana is closer to achievement. Good luck, and feel free to share your own method if you have a means of taming unruly cupcakes. In the meantime, happy Valentine's Day. And remember: If he uses a napkin to wipe the frosting off the tip of your nose, you ought to seriously reconsider the relationship. It doesn't take two to tango in Mooresville. The wine shop 202 Wines, 202 N. Main St., is now offering Argentine-style tango lessons on Wednesday nights, starting Feb. 10. (Yes, that would be tomorrow. Or today, depending on when you check in here.) It starts with a social hour at 7 p.m., then beginner lessons at 7:30 and practica at 9 p.m. First-time dancers get a free glass of wine. You don't have to bring a partner. And it's free, although donations are accepted. Call the shop at 704-663-5445 if you need to know more. Celebrate coffee and raise money for Haiti. The Coffee Garden, 7900 Stevens Mill Road in Matthews, is the site for the Thursday Night Coffee Throwdown for the group Charlotte Coffee Community. It starts at 7 p.m., with baristas from all over the city making latte art to raise money for Haiti relief. They'll accept donations from customers and baristas. For details, go to charlottecoffeecommunity.wordpress.com. Saturday morning: Swirling, smelling and spitting. With the every-other-year Charlotte Wine & Food Weekend coming up in April, the organizers held the first Charlotte Cru Wine Competition, a blind tasting of 28 or so wines that will be featured this year. They lined up 50 judges, mostly members of the wine group Charlotte Cru but also a few media types and wine wholesalers, and put us to work. It really was work. To keep on schedule, we had about 1 minute per wine to judge them on visual, aroma, texture, taste, finish and overall impression. Working that fast, you're just going on first impressions, so you have to trust your instincts. All flights were blind, meaning you're presented with four or five glasses in a category, say, "whites under $50" or "reds over $50," but nothing on what kind of wine it is. 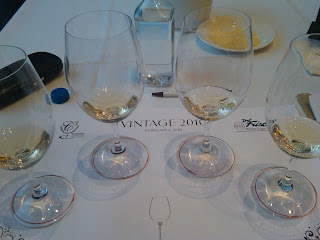 Pity -- as the wines flew by, I encountered the pinot noir of my dreams (and it was in the under-$50 category) and a few wines I wouldn't taste again on a bet. Winners will be awarded medals, and are supposed to be available in local wine shops around festival time. For myself, I'll have to wait for the Vintner Tasting in April to see if I can identify that pinot. Saturday night: Who says this girl is a food snob? For my birthday, the two handsome men in my life took me out to dinner. They offered up the name of a cutting-edge place we all like. But I said, "No boys, this is an occasion for the Beef & Bottle." I'll admit it: I love the 'Bottle. I love the booths in the dark front room, the Frank-and-Dean atmosphere, the glass-enclosed bar that looks like a fish tank. I love the cheesy cheese spread with crackers, and the plate of chopped-up iceberg lettuce with a tray of vegetables for building your own salad. I love the groups who always seem to be having so much fun, like the three guys in bow-ties who walked in just ahead of us. And I love their steaks, with that char-grilled taste. Simple steaks, simple sides, short wine-by-the-glass list. Yes, Charlotte has fancier places, but Beef & Bottle is purely what it is. And for my 51st birthday, I wanted to appreciate things that get older but stay just fine the way they are. Sunday night: A perfect spread of dips for Super Bowl watching -- guacamole, pico de gallo, hot cheese dip with sausage. And a perfect game to go along with them. Who Dat who loved that game? That would be me. Dean Mullis of Laughing Owl Farm gave me permission to use this picture of his chickens up in Stanly County. It's also a good excuse to think about spring and CSAs. If you missed my story in The Observer's Local section, here's what you need to know: It's time to sign up for a CSA if you're interested. CSA, Community-Supported Agriculture, is sort of a subscription to a farm's harvest. You pay for a share, usually $400 to $750. In exchange, for 20 to 26 weeks (it varies by farm, just like the price), you get a percentage of what the farm harvests that week. You usually pay up front, in the early spring, so the farm has money to plant all the stuff they'll harvest in the summer. If you're interested in a CSA, now is the time. Many popular farms have waiting lists, but there are new farms joining the list every year. 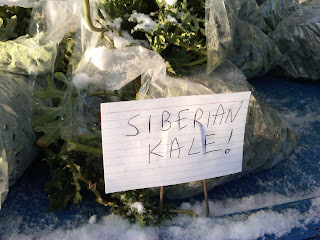 The best ways to find them are to either ask around at farmer's markets (giving you another reason to discover the markets that are open in winter), or go to a Web site like www.localharvest.org and search their database. CSAs have always been the ultimate grassroots business model, and people are finding all kinds of variations on them. Originally, some farms offered a work-pay plan, where you reduced the cost of your share if you spent a little time working for the farm. Those have gotten more rare. Many farms don't offer that option; some offer only a few slots for it. Sweat equity sounds great, but for farmers, it's not all that efficient to have untrained workers pawing around in the fields. But a lot of other models have sprung up. Some farms offer half-shares. Some families go in together to split a share. I've even heard of churches where members pitch in to buy a share, then use the food for their emergency pantries and feeding programs. Maria Fisher of Fisher Farms is trying a new model. In the past, she guaranteed her members seven items in their bags. But she found she could harvest five things and bag them with no problem. It was items No. 6 and 7 that were killing her. So she's offering what she's calling a Supportive Buying Club: You pay $150 for $200 worth of food, as long as you pick it up at the Charlotte Tailgate Market in SouthEnd on Tuesdays. With the money you have left over, she hopes you'll buy more from other farmers at the market. I'll confess: Even after reading Maria's newsletter and talking to her about, I don't quite understand it. But she swears it will work, it will make her life easier and it will bring in more business when the Tailgate reopens this spring. Contact her here if you want to sign up. Or just explain it. Foam fans, the first Charlotte Craft Beer Week is coming March 18-28 (yes, that's more than a week, but they're very excited). It starts from 7-9 p.m. March 18 with a Tap the Keg reception at Rock Bottom Brewery and continues with events all over the city. Get the full schedule here. Personally, I'm dying to know more about Freak Fest at Common Market. Isn't that usually held every Friday night? Taste of the Nation isn't April 14 (7-10 p.m., in The Atrium uptown), but if you buy a ticket in February, you get a $10 discount off the ticket price of $60 or $85 for VIP. Go to charlottetasteofthenation.com and enter the code "TASTECLT" in the promotional code field. This year's event features 25 restaurants, plus a mixologist event, silent auction and live music. Money raised goes to Share Our Strength to work toward ending childhood hunger in Charlotte. Details: 704-334-6134. Cooking Uptown, 1707 E. 7th St., will bring back Thursday evening classes in March. Owner Karen Cooley also has her lineup of April classes, and she's added a Lebanese class for March 20. Go to cookinguptown.com for the schedule. Heidi Billotto will teach a special Chef's Choice class at Johnson & Wales from 9 a.m.-1 p.m. Feb. 20. The theme is "Easy and Elegant Dinner Party for Four," and the cost is $140. She also has Saturday morning classes through February at Reid's Fine Foods. Go here to register for the JWU class; go here for Reids. The Blue Ridge Barbecue Festival in Tryon will heat up the coals again this spring, after the Carolinas Foothills Chamber of Commerce got more than $80,000 in donations to keep the festival alive. The festival, now scheduled for June 11-12 at Harmon Field in Tryon, includes music, a craft fair, carnival rides and food from a number of barbecue vendors. Admission is expected to be $6. In addition, the barbecue competition usually draws barbecue teams from all over the country to compete. The contest was sanctioned by the Kansas City Barbecue Society; with Memphis in May, it is one of the two chief organizations that recognizes barbecue winners. Winners of KCBS contests are invited to the Kansas City Invitational and are eligible for a drawing for teams to attend the Jack Daniels Invitational. The only thing that could have made our icy weekend better for cooking was if the stuff falling from the sky had been flour and freezing grain. So what did you make to make the most of it? 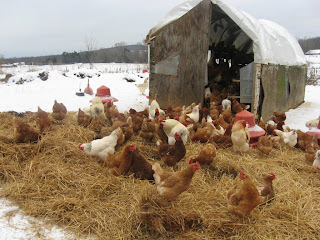 On Saturday, I pulled an aged-out laying hen from the freezer -- a farmer connection steers them my way when he has to cull a few from the flock. They're scrawny and tough, so they're not good for eating, but they're fabulous for stock. After simmering stock for a couple of hours, I put a couple of cups in the freezer and used the rest to make chicken & dumplings, one of the great winter dishes, using some chicken breasts I also had in the freezer. Some sources claim it's more Southern to make rolled dumplings, but I like drop dumplings. In this case, I made them from good rendered pork lard and some of my precious stash of Red Band flour. They ended up with a tender, fluffy consistency that was sort of like the Southern answer to matzo balls, floating in a rich, lightly thickened broth with a little turmeric and saffron to boost the gold color. On Sunday, I took one look at our icy street, bade farewell to my usual activities of church and gym, and reached into the freezer again. This time, I pulled out a sirloin tip roast from Baucom's Best grass-fed beef and looked to my bookshelf for inspiration. Back in August, professional food snarker Regina Schrambling wrote a piece for http://www.slate.com/ claiming that people who saw the movie "Julie & Julia" shouldn't buy copies of Julia Child's classic "Mastering the Art of French Cooking" because no one cooks from it. Au contraire, moan ami. The tattered spines on both of my volumes speak to plenty of usage, and this time, Child didn't let me down. I settled on her simply named "Braised Beef," making a few adjustments. 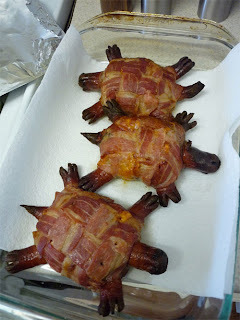 Instead of marinating in red wine, brandy, olive oil and carrots/celery/onion for 24 hours, I had to do it for three. No big deal, it worked fine. Then I seared the beef, cooked down the marinade and added beef stock, put it in the oven for 4 hours and served it up with the cooked-down sauce, glazed carrots and mashed potatoes. Your turn: What did you cook for winter comfort this weekend?